How Do I Know if I Have a Heat Pump or an AC? Not sure if that big metal box sitting outside your home is a heat pump or a straight air conditioner? We’ll give you step-by-step instructions on how to do all of those. The main difference between a heat pump and a straight AC is that a heat pump can provide heat. So head over to your thermostat and make sure the knob is set to HEAT not COOL. Now, make sure that the set temperature is higher than the current room temperature and wait a few minutes. If you hear the unit kick on and deliver warm air from the vents, you have a heat pump. If it doesn’t come on, you most likely have a straight air conditioner. 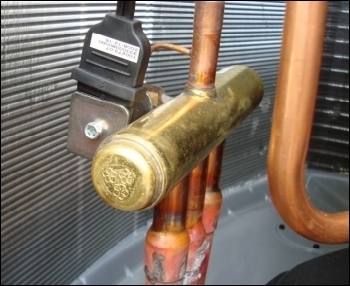 A heat pump can reverse the flow of refrigerant to switch between cooling and heating by using a “reverse valve”. If you don’t see this device, you most likely have an air conditioner. What to look for: Just under the big “EnergyGuide” title, your unit will be listed as either a “Central Air Conditioner” or a “Heat Pump”. 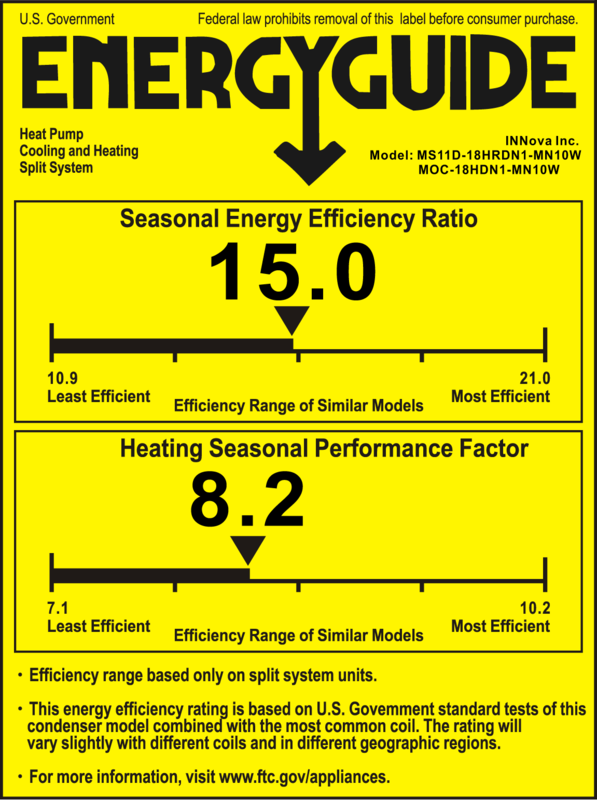 What to look for: Sometimes, the manufacturer label will clearly mark whether your unit is an AC or a heat pump. See the images below. Note: Some manufacturer labels are less clear about this so use this option as a last resort. If you still can’t determine what kind of system you have, feel free to contact us.